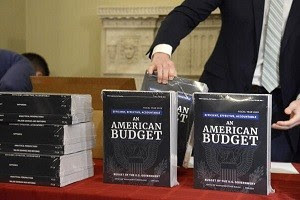 GOP leadership scaled new heights of hypocrisy by contemplating a balanced budget amendment, strongly opposed by NEA, on the pretext it is necessary to contain the exploding federal budget deficit. Largely due to the tax bill passed just a few months ago, the deficit will rise to $804 million in 2018 and pass the $1 trillion threshold in 2020, according to the nonpartisan Congressional Budget Office (CBO). Requiring the federal budget to balance every year would lead to more frequent, longer, and deeper recessions that destroy jobs and constrain long-term economic growth. Consider what it would mean if families had to balance their budgets every year: no mortgages, no student loans, and no dealer-financed cars. The call for a balanced budget amendment proves that those most in need – individuals and families – are being asked to finance a massive tax giveaway to the ultra-wealthy and corporate special interests. The House Agriculture Committees is preparing to take up reauthorization of the farm bill that provides funding for the Supplemental Nutrition Assistance Program (SNAP), our nation’s largest anti-hunger program. Beneficiaries include one in five U.S. children. Formerly known as food stamps, SNAP faces threats of significant cuts in funding as well as unnecessary changes in certification and eligibility requirements that could reduce the number of students eligible for free meals in certain states. Additional work requirements for adults could also be imposed. Click on the take action button and tell Congress not to cut or change this vitally important program. Education secretary Betsy DeVos may soon rescind U.S. Department of Education guidance that pushed school officials to ensure discipline policies don’t have a disproportionate impact on students from certain racial and ethnic groups, a key feature of the effort to dismantle the school-to-prison pipeline. Issued in 2014, the guidance was a response to zero tolerance policies that produced significantly higher rates of discipline – including suspensions and expulsions – among students of color and those with disabilities. 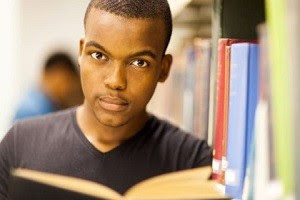 For example, according to a new Government Accountability Office (GAO) report requested by Reps. Bobby Scott (D-VA) and Jerry Nadler (D-NY), black students are 15.5 percent of all public school students, but 39 percent of students suspended from school – a 23-point gap. Click on the button and tell members of Congress to take action to keep the current guidance in effect. .